More apropos song lyrics for M.A.C's new Ricky & Nicky for Viva Glam collection would be hard to find, right? The fearless duo have teamed up for Viva Glam's latest lipstick and lip conditioner, with every cent of the selling price supporting the M.A.C Aids Fund. 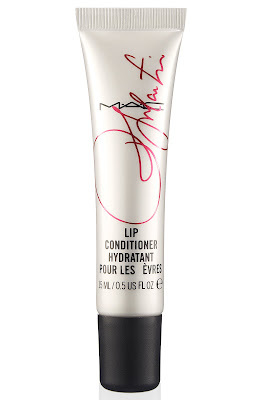 I am totally loving the Lip Conditioner! I'm always a fan of M.A.C lip balms, and this one does not disappoint. It slicks on clear and glossy, leaving behind a hint of M.A.C's signature vanilla scent. And best of all? It lasts for HOURS. I only have to apply once in the morning and once in the afternoon -- it even makes it past Diet Coke cans and water bottles! The Ricky & Nicky for Viva Glam collection will be available at maccosmetics.com and all M.A.C locations starting February 15. The Lip Conditioner retails for $15.